living_stradivarius wrote: From a scientific perspective I will be always consider competing theories. As of right now, there isn't a clear refutation of Lindzen's theory, but scientists can and should discuss this outside the political arena. You don't consider Dessler's work convincing? Topic: Do you have a treasured "collectible" from classical music? First impression is that this release is absolutely stunning. 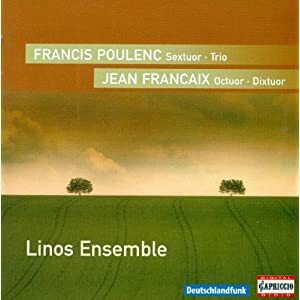 Music by Poulenc and Francaix by the Linos Ensemble on Capriccio. I don't get it. Why would someone think they could make hay from the fact that they lack the discernment to appreciate Faure? It's deja vu, all over again. johnQpublic wrote: I don't have that one, nut-job, but if you don't have his "Serenade" (for small orchestra) please try to hear it. 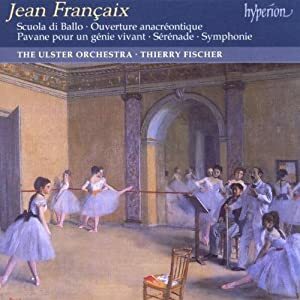 It's my all time favorite Francaix. Is that the "serenade" on this release? 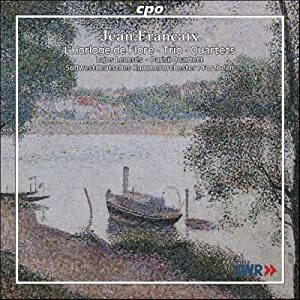 johnQpublic wrote: That's a disc I have and plenty of Francaix contains moments of wit and joie de vivre. 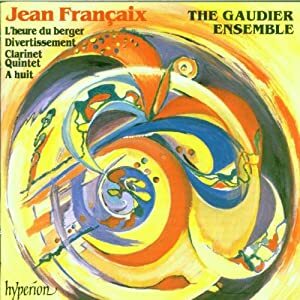 Which reminds me, I also have this disc, which I have not had a chance to listen to yet. 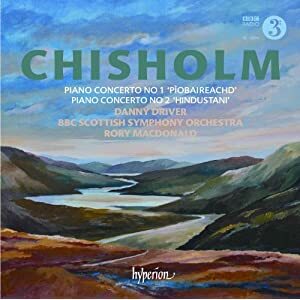 Ordered the new set of Chisholm Piano Concerti from Hyperion. Got tired of waiting for US vendors to list the release at a non-insane price, so I ordered from mdt. The first piece in the collection, "A huit," which has the same instrumentation as Schubert's Octet, is particularly charming. Hard to see how they will get a conviction, given that second degree murder seems to be legal in Florida. I don't know what you mean by "manufactured."